CollageIt is an easy-to-use and automatic collage maker, which makes photo collage automatically. There are only three steps to make your stunning collage: add photo, set parameters and generate collage preview, save collage as image format, such as BMP, JPEG, PNG, TGA, GIF etc. No matter the green hand or the old hand with image processing software, CollageIt will help you make a gorgeous collage by few clicks and within few seconds. 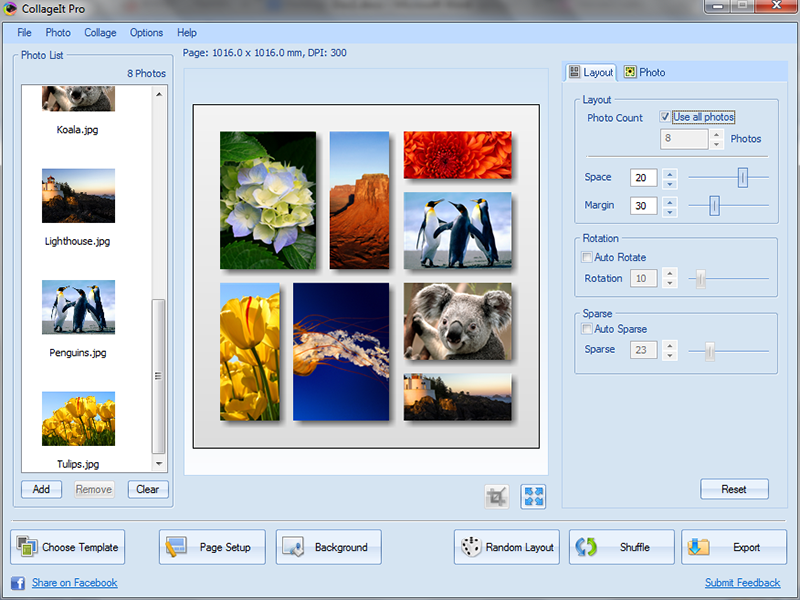 Well-liked batch picture editor and JPEG converter offers popular photo editing features, including resizing, cropping, rotating, mirroring, changing brightness, contrast, border, etc. Able Batch Image Converter allows you to easily convert multiple graphic files at the click of a button. Program can take any number of images in any format (over 90 file formats supported) and convert them to any of the twenty most popular formats. This software offers a solution to users who want to extract text from image files. The user first chooses the required files, an entire folder or can simply drag and drop them into the file pane; there's an option to load a sample file for testing.